At last! After a couple of dry news weeks we finally have something interesting to report! There are no pictures or descriptions yet but a release date of 1st January 2012 is quoted. However I'm sure they won't all be out on the same date. I think we are safe to assume that 10224 will be the next modular building but what about the Joust set? Something along the lines of a highly-detailed castle themed set along the lines of the Medieval Market Village, I wonder? And... the info has now been pulled from Brickset. Surprising that they might go for a UCS B-wing before an A-wing, as I think the A-wing may be slightly more iconic. MrCRskater wrote: as I think the A-wing may be slightly more iconic. I wouldn't say that, unless you're talking the niche of gamers that remember the old X-Wing series of PC games. 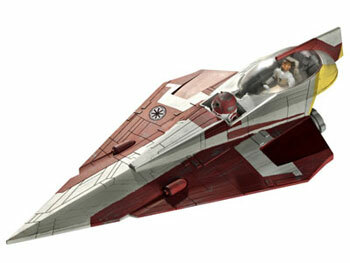 Outside of that, the A-Wing itself is rather ordinary (perhaps even generic) looking for a small fighter-craft. The B-Wing is much more unique and striking to look at, and probably more memorable from watching ROTJ. well..., but an A-Wing went through the windows of the super star destroyer. After the lackluster interest for the recent UCS Jedi Starfighter and the similarities of the two, they probably want something a little more unique right now. I'm sure the A-wing is in the works for the future. Andi wrote: well..., but an A-Wing went through the windows of the super star destroyer. Now there's a sales pitch. Have you ever sold used cars? buriedbybricks wrote: After the lackluster interest for the recent UCS Jedi Starfighter and the similarities of the two, they probably want something a little more unique right now. I'm sure the A-wing is in the works for the future. This is what I'm thinking. On the spectrum of Star Wars ships, these two are pretty close to one another. The B-Wing is much more visually varied and interesting. I can't wait to get a look at it and the rest of them, well, except the Sopwith Camel, but that's only because I already have one (from 10 years ago). Hasbro just released an action figure B-Wing (at least I think it was just released, my friend is the one that collects those), so I wonder if that played a factor in which ship they chose. As for the Kingdoms Joust, I'm guessing it's going to be a large, detailed jousting arena. Last edited by Robzula on Thu Aug 25, 2011 2:28 pm, edited 1 time in total. The B-wing is probably my all time favourite fighter/ship from Star Wars. I really hope they make it, and more than that I really hope they make it well, and do the ship justice. R2 and the Sopwith also sound pretty interesting. Can't wait to see what they make of them. I hope that the re-release of the Sopwith camel means that they'll also do the Red Baron's Fokker Triplane and the Wright Flyer since I missed out on those two. While Star Wars Lego sucked me in, I'm most interested in the Joust set too. If it ends up being like Medieval Village... omg. Man these UCS all sounds great and maybe some won't be but I only say that cause at the rate I'm playing catch up with some of the sets and all the new stuff it's sending me to the poor house. did anyone see any prices attached to the sets when it was live? The B-Wing and the Sopwith Camel are the two I'm most excited about. I'm curious as to how they'll do R2-D2. I'll probably take the B-wing and the Sopwith sight unseen! Very excited about these releases. Joust and City Hall sound interesting as well. The B-wing was always my favorite even in the old x-wing/ tie fighter game. This one will be mine. With some of the random minifigs coming in some of the new sets I wonder which may be included, perhaps Salacious Crumb? The Sopwith Camel also sounds interesting, can't wait to see it. I will also definitely be getting that town hall set. The B-Wing is only onscreen in ROTJ for literally 5 seconds, and has no combat scenes or shots of the pilots in their fighters. In contrast there's many shots of A-wings + their pilots dogfighting, going into the death star, and of course the iconic attack on the Executor. One can debate which design is more visually interesting, but I doubt few people in 1983 even noticed the B-wing in the movie - the EU has a way of warping our memory of the role played by some spacecraft. If Lucas wanted to do anything to improve the SE of RoTJ, he should have restored the planned footage of the B-wings in combat that were cut because they didn't think audiences would be able to see the pencil-thin fighters very well against the backdrop of space. Personally I think the B-wing is a really neat but strange fighter (what's the point again of a gyroscope cockpit in space where there's no up and down?). I don't buy UCS sets, but if they made an A-wing UCS I would have to make an exception. Sorry, I guess I'm an A-wing fanboy. As for Salacious Crumb, we are long overdue for a minifig of him, seriously. Why the expectation of minifigures? Unless this B-wing is scaled to minifigures, we're unlikely to get any with this set. The B-wing may be a large ship, but I don't think it's large enough to justify a 10XXX number unless it was larger than minifigure scale. Blacknight wrote: Personally I think the B-wing is a really neat but strange fighter (what's the point again of a gyroscope cockpit in space where there's no up and down?). The gyroscopic cockpit is a feature for atmospheric flight and for landing the craft. Contrary to LEGO's vertical parking stall for the B-wing, it's supposed to land in a horizontal orientation on its side. Anywho, a 5-digit number these days is a pretty sure sign of a UCS model. This B-wing will likely be along the lines of the Jedi Interceptor and the UCS Y-wing in terms of scale, so it's really a no-brainer. It's sure to be a sweet build and a great-looking model.